I had a lovely girls’ dinner with my friend Shalya yesterday evening. Knowing my admitted snobbery about authentic Italian food (I pretty much refuse to eat at most “Italian” restaurants), she took me to this fairly new restaurant in Midtown Atlanta called Cucina Asellina. It’s only been open a few months, right at Peachtree & 12th. The menu is “rustic Italian”, and is a nice mix of seemingly-lighter (in weight if not in calories) takes on traditional Italian dishes. We were giddy while perusing the menu. After ordering a bottle of lovely sauvignon blanc (which wasn’t on the menu), we ordered a few appetizers. 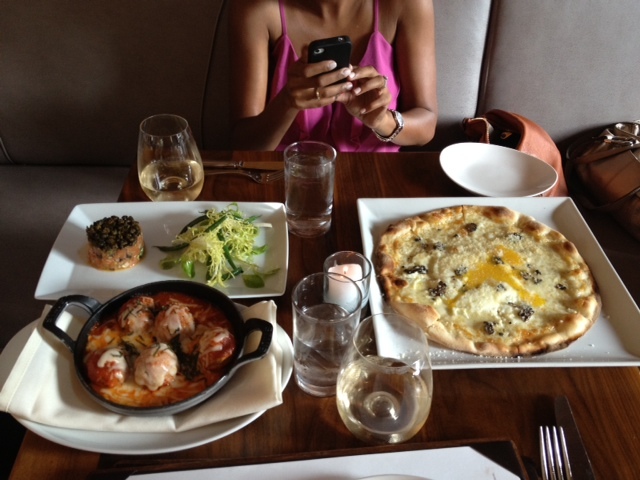 The one I was most excited about was the pizza with truffle mushrooms, fontina, and an egg. 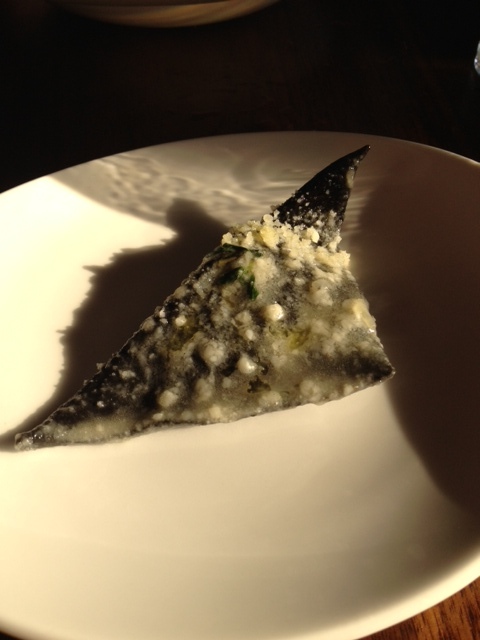 It was glorious—light, with a richness from the truffles and a saltiness from the egg and fontina. We also ordered the veal meatballs and the salmon tartare. 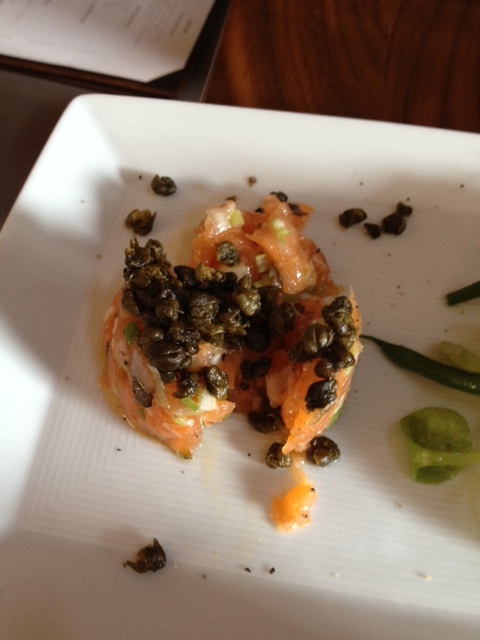 The salmon tartare was the perfect starter. The crispy fried capers on top totally made the dish for me, because anyone who knows me will tell you how much I LOVE capers. 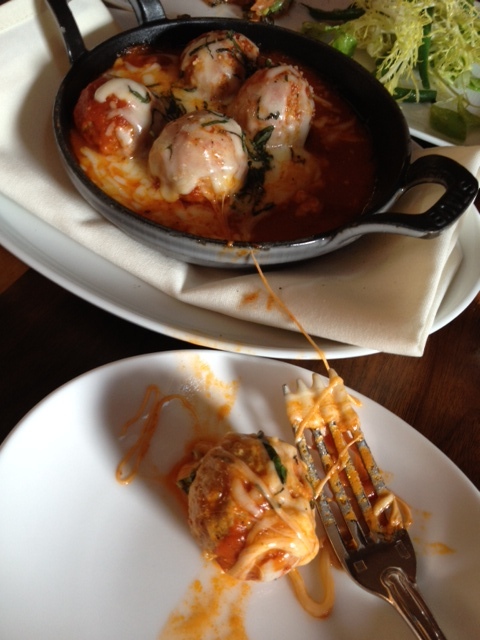 I don’t have tons of experience with meatballs overall (since they’re often pork and kind of weird me out too). But these were a mixture of veal and turkey, and the sauce they were in was delicious! 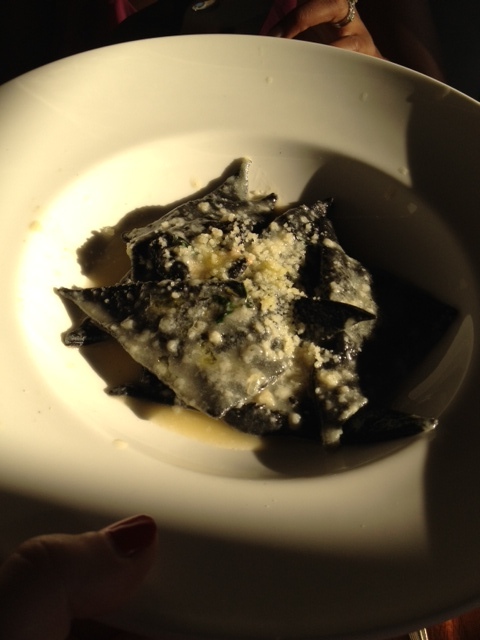 Next we ordered their fresh, handmade burata & oven-dried tomato ravioli. It was infused with balsamico and had fresh oregano, and had some butter and parmesan with it. It seemed like it was pan fried too, so had a little crispiness to the pasta dough. As a ravioli nut, I was in heaven. It was delicious, and my only complaint was that there wasn’t more of it. We ordered one of the specials for the main course, a pan-fried sole with a grilled or roasted corn and tomato topping. The corn and tomatoes were awesome, but the sole itself wasn’t great. I think it just wasn’t what we were expecting, much drier and fish stick-y. For dessert we ordered both the citrus pannacotta with a pistacchio gelato and the chocolate cake with (I think) a hazelnut gelato. 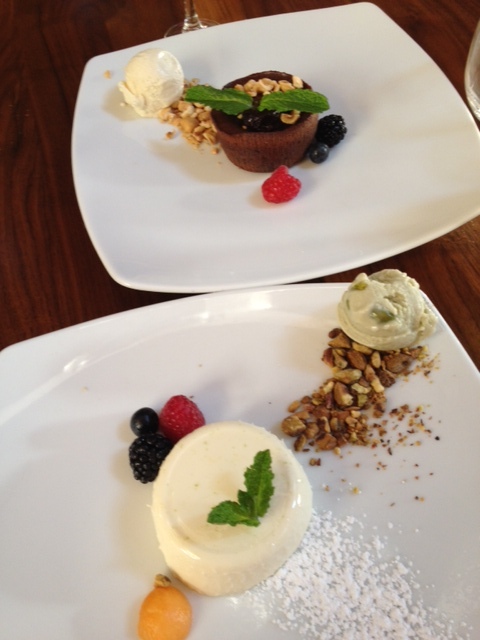 They were both delicious, but I couldn’t get enough of the citrus pannacotta—the perfect antidote to the 100 degree heat outside (and inside, if we’re being honest…I had to put a napkin under my skirt to sweat on since it was so hot inside)! 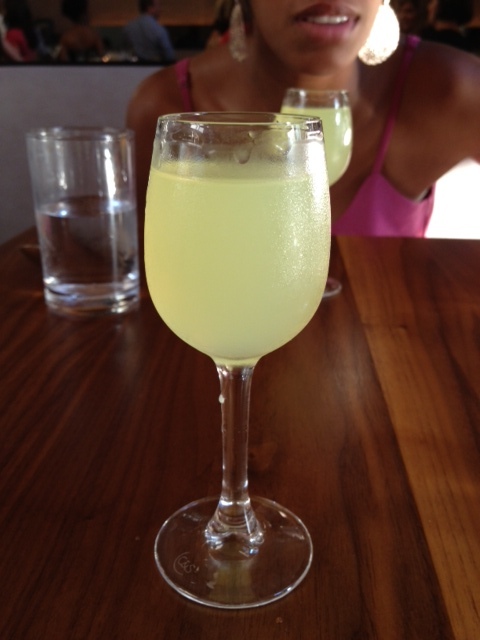 We finished off with some limoncello, which was a little lighter than previous ones I’d had. The glass was still too much, though. About half as much would be perfect since limoncello is very intense. 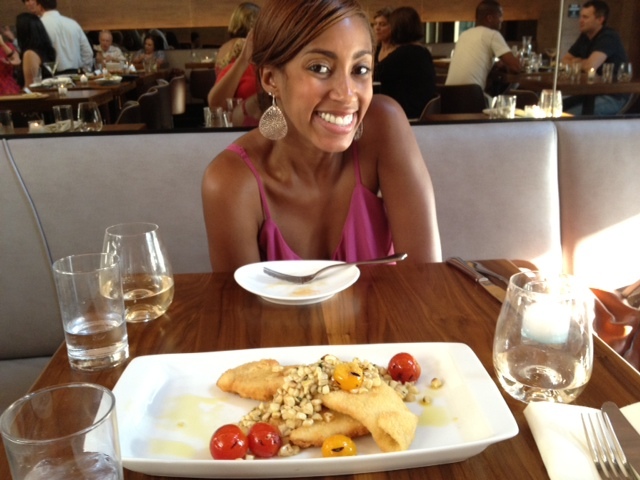 So we had a great time at Cucina Asellina, and would love to go back. They have a Sunday brunch that sounds amazing, including a flat fee for all-you-can-drink mimosas and bellinis. And I’ve love to try some of the other pizzas and pastas. It was a little harder for me to find tons of things on the menu that I could eat—the Italians DO love their pig and shellfish—but I could seriously just eat the truffle egg pizza every day and be happy! I really like your blog Jessica. 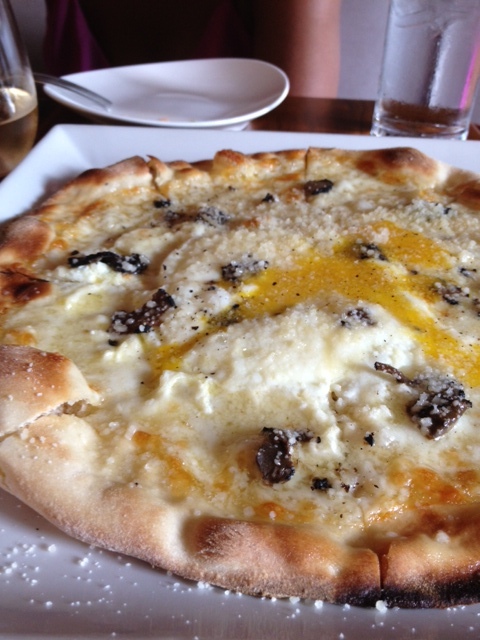 The truffle egg pizza looks delicious!!! Thanks! It’s so good–some people are freaked out by the idea of egg on pizza, but it’s delicious! Hope you guys’ move went well!